If your content marketing campaign doesn’t have a style guide, you’re setting yourself up for frustration and underwhelming results. Style guides allow your brand, content appeal, quality level, and other factors to remain consistent over the course of many content pieces. They also help new writers and team members working for you get a sense of your needs and create articles, ads, e-books, and more that all fit together and match your business’ style. 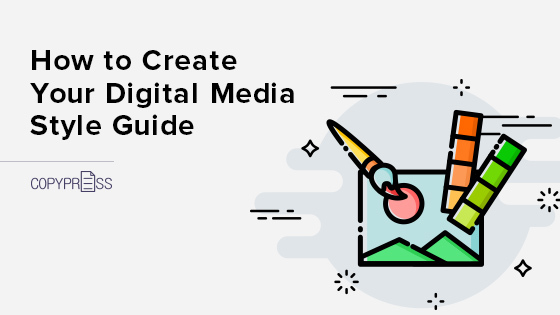 Take a look at our tips for creating the best possible style guide for your digital media, such as infographics, social media images, videos, and more. The first thing a style guide should do is clearly tell an outsider what your business is all about, how it presents itself, its ideal customers, and what they like. 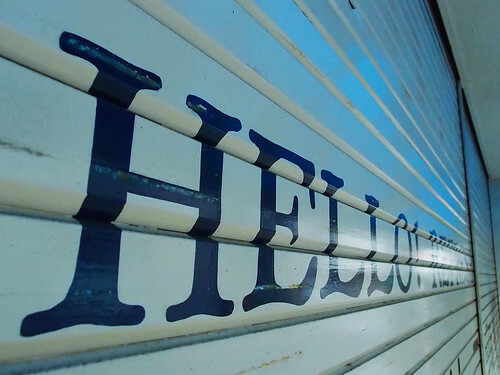 If you’ve been in business for a while, these brand aspects should all be well defined. They should also integrate well with your marketing strategies. For example, if you want to make data visualizations for multiple social media sites, be sure that the guide requires the visualizations to look good in each of the multiple sizes and aspect ratios. Have a list of do’s and dont’s and, if possible, create multiple hypothetical personae based off your ideal customers. This is great for people who have to ideate new content for you. When pitching ideas, they’ll be able to explain why they’re great for your business and what kinds of customers will engage with it. For example, a news site may have a target audience of people who are interested in celebrities but tired of scandals or drama, so the style guide would emphasize never covering, linking to, or referencing such things. With digital media, graphic design and its many tenets all need to be narrowed down to show the kind of “look” you’re going for. A Halloween store for all ages might go with a spooky, yet over-the-top and cartoony visual style, with exaggerated, messy dark fonts and a crisp lines for shapes and characters. Beyond that, how much of a crafted, “designed” style do you intend to have, compared to a simpler style that uses only real images and your logo? It’s critical to be familiar with the elements of graphic design, as well as cinematography if you intend to make live-action videos or animation that’s going to be a focus. Color, out of every design element, is perhaps the most important. Inconsistency with color will make your content look sloppy when put together on a profile, even if the individual pieces are all expertly crafted. What sort of problem, question, or situation do you want to cure for your audience? It could be boredom, irritation, frustration over a problem not being solved, curiosity on a niche topic, or anything else. How should your content alleviate the customer’s state from question number one? By making them laugh, and informing them along the way? By inspiring them and winning them over with self-effacing humor? Or maybe by cutting close to the heart with real-life, impactful stories? How should your customer feel as a result of the experience? Think of it like the IHOP slogan, “Come hungry, leave happy.” Do you want customers to leave satisfied, uplifted, relieved, encouraged, or maybe something far more specific? Remember that the answers to these three questions cannot be guessed. They should be based on customer and audience research and experience. A digital media style guide is a must for those designing infographics or interactive content, because of their complexity. Infographics are still relatively new and unexplored as a digital media form, and interactive content has a stunning amount of options and potential to innovate. The question becomes, how much do you want your style guide to limit these options? A more specific guide that wants particular types of this content can be great if you have evidence behind those specifications, but if you aren’t quite there yet, keep your guide more broad and open to experimenting. Never assume that your audience likes a certain type of content without knowing it for a fact. Start your campaign, and its style guide, with fewer hard rules, and add to it over time as you figure out what works best for your business. For example, a business might have few to no specific requirements on infographics when it begins. After six months of testing, however, the updated guide specifies non-sequential, large landscape, visually stunning infographics with lower amounts of information, but better explained. Over time, the content creators get better at coming up with content suited to these rules. It’s a mistake to only see a style guide as instructions for making the best content possible. The other half to a style guide’s purpose, which grows over time, is making more and more content of the same quality and return on investment. Find ways to improve the efficiency of your content’s production chain, without dictating the actual creative process, and you’ll find it easier to scale up your digital media content output. For instance, you might find that the ideators cling to specific types of ideas and stop thinking outside of that range. These overly-similar ideas become frustrating and creatively difficult for writers, designers, etc. Enforcing limits on how similar different ideas can be to each other might help every idea feel new, and less of a slog. As for digital and interactive media, pinpoint time-costly parts of the process, such as manipulating images in Photoshop, that can be cut down or worked around. Anyone can put together a list of rules on how to write blog posts and other text content for your business, but digital media like infographics and videos pose many more challenging variables. Remember the guidelines above and use them to analyze everything that goes into high-quality, productive, scalable digital media. Teach every member of your team the rules to succeed as a content creator for your business, and always look for ways to update and polish the chain of production. You’ll soon become a recognized and envied force in your online space.